I have found out that belief in yourself is absolutely necessary if you want others to believe in you. If you don’t believe that you can do something, how can you expect others to? Where would David be if he hadn’t believed he could have defeated Goliath? We all know the story – it’s one of my favorites and I feel it’s a good lesson for us all. It’s also a great example of belief in one’s self. He had faith in God as well, but so did the Israelite army. What gave David the courage to stand up and fight Goliath when others could not? Each day for forty days, the Philistine army sent their nine foot tall giant to mock and challenge the Israelites, terrifying them. Then David, who was very young, went to the battle lines. He volunteered to fight Goliath. David took out his sling shot and slung one of his stones at Goliath’s head. When he fell down, David took his sword and cut his head off. This gave his army the courage to go and defeat the Philistine’s. 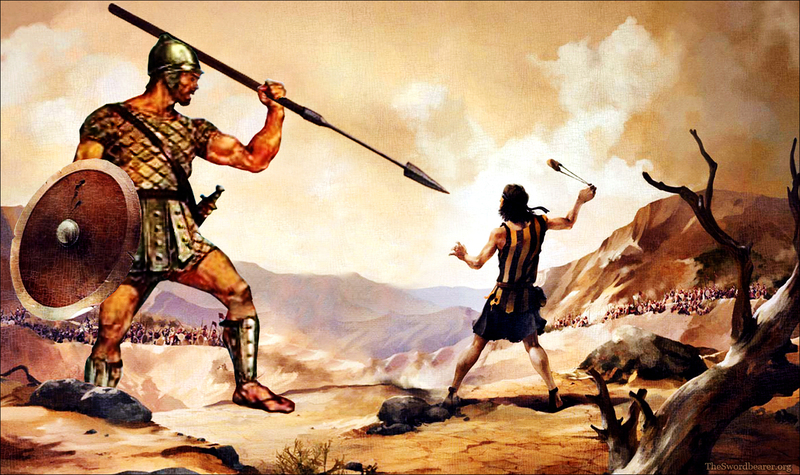 Goliath seemed invincible – impossible to beat. Don’t we all feel that way at times? Aren’t we all faced with what seems to be impossible problems – death of a family member, loss of a job, divorce, financial problems, etc. When you feel that way, try to take some time and think of some of the things you have accomplished. Better yet, take a pen and paper and write them down. Whether they were good grades or a good report you did at work; whether you took time to defend a friend or a co-worker; or – even more importantly – took time to call someone that wasn’t expecting it. Believe it or not, we all have talents. If you aren’t sure what yours are, talk to someone who loves you. They will tell you. Many times, we cannot see them, but others can. And when you know what they are, then you can move forward. Be prepared to go outside your comfort zone if that’s what you need to do; set some goals and work on them till you achieve them. That is what I had to do. For me to be successful, I had to set different goals. I definitely had to find new reasons to believe in myself again; not only for me, but for my family as well. I had to become a “Goliath.” Remember, those are the people that are beating the odds, rising above and conquering their problems. If you look around, I’ll bet you know of some “Goliath’s”! If you believe in yourself, you too will be able to face what seems impossible at the time. If I can become a “Goliath, so can you.